Does your business have a WordPress website? If so, use it to turn your website into a sales lead generation powerhouse! If you've been in business for a while you're likely aware of the need for marketing automation. You may be having trouble being able to afford it. Getting started can be intimidating for small businesses who are new to it. 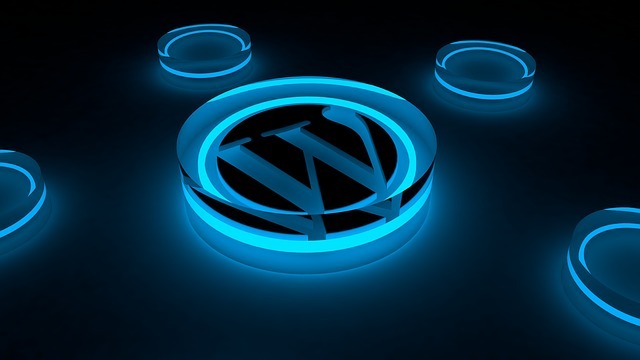 If you're reading this, you either already use WordPress for your business website or plan to. Strategy is what will turn it into a sales lead generation powerhouse. Knowing what to put on your website to generate sales leads is the first step. Having a sales team that can close them into customers is also required. Nail these two things into place, then you can afford to layer on more tools for scalable growth! Website design is your first hurdle to overcome. Many businesses get stuck on what to say, where to put it and end up with an outdated site that doesn't get attention. Others spend a lot of time switching things up, adding things and taking them away and never finish the job. Then there are the long drawn out website projects that are obsolete by the time they're done. The process begins again and there is never any realized value. You'll need to change your preconceived notions about how to build your website. Consider a new model called Growth Driven Design. Instead of trying to nail down every detail, you start fast with a few pages and let data drive you to your best website. This approach saves time and money. You're going forward and fine tuning along the way. It's better than the alternative of losing out while you try to guess your way to the perfect website. WordPress is a nimble, low cost, platform that fits well with Growth Driven Design. Add some inbound marketing strategy and in no time quick wins roll in while you build for the long term. It isn't enough to set up a blog, a few offers, and landing pages these days. Online marketing is now more sophisticated. This makes the burden all the heavier for small businesses. WordPress is well suited for taking the baby steps to grow your way into a long term scalable strategy. Take advantage of HubSpot Marketing Free. Consider it your training wheels for getting started with inbound marketing. Add it to WordPress and use the resources it offers to develop your strategy. Setup Google Analytics and Google Webmaster tools to start collecting data. You'll need it to know what to do later on. There are many tools that make it easy to use with WordPress. Setup an email platform that integrates with HubSpot Marketing Free. I recommend MailChimp. It's enough to get started and can contribute to other parts of the process. You'll also be able to use it with forms on your website for lead capture. Create offers for each stage of the buyers journey and their conversion paths. Capturing leads this way is providing your sales team with context to use for follow up. You'll need a collection of plugins to make WordPress work for sales lead generation. Technical requirements for adhering to conversion path best practices direct these needs. Do a little research to find the right options for your needs. Sharpen your skills by understanding how lead generation works on the web. Explore free and low cost training resources for you and your team. Train your sales team to manage sales leads that come from your website. There is a special skillset required. If you're not investing in a sales training program to manage the leads, you'll miss a lot of opportunities. Plan on investing a lot of time. The Internet keeps changing which means you'll need to change with it. Being fluid will mean a consistent investment of time, talent and tools. Expect to outgrow the low-cost, and free tools once things start working. The idea is to grow into full marketing automation that provides ROI. If you have an established business, you're more likely to start off needing more than free tools. The idea is to have a marketing investment that delivers ROI. You'll be aiming for proportionate, affordable marketing costs. Invest in outsource partnerships to move things along at a fast pace. Doing it yourself can cost you much more when it slows you down too much. The old adage "time is money" is well applied here. Engage well qualified leadership. Don't expect employees who are not trained marketers to guide this initiative. This can result in a system that doesn't deliver results or sustainable marketing ROI. Are you ready to upgrade to modern marketing practices. Invest in the steps outlined here. You'll be enjoying all the benefits of modern sales lead generation in no time!